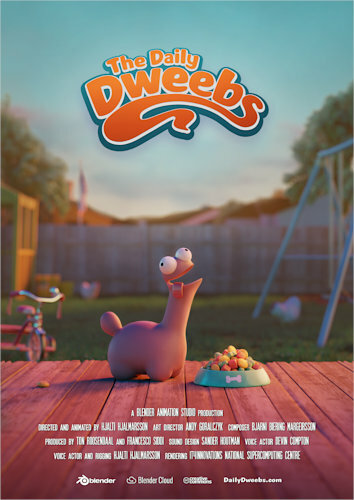 'The Daily Dweebs' is a pilot episode of a animated series revolving around the pet Dixey and his shenanigans in 1950's American suburbia. The title is referencing amongst other things "the everyday silliness" that the characters constantly find themselves in. This pilot was created by the Blender Animation Studio in Amsterdam, The Netherlands, and made possible with support from thousands of people from all around the world via subscription to the Blender Cloud. By subscribing to the Blender Cloud you get access to all the characters, textures, props, and workfiles along with supporting us create more animated shorts of this kind.